When I was a kid, we used to spend our summers at a cottage on the southwest tip of Nova Scotia. It was on an island connected to the mainland by a breakwater in an area that was quaint and popular with tourists, who were plentiful in those days. Our cottage was at the end of a dirt road, perched on a hill by itself overlooking the harbour, and there were beaches and fishing boats and wildlife everywhere. It was an ideal situation for me, with teachers for parents, since I got to spend the two nicest months of the year with no meaningful responsibility in a wide-open, naturally beautiful place where I was free to go anywhere and do pretty much anything. Like the rest of Nova Scotia, the ratio of coastline to area on the island was ridiculously high and varied a lot. The west side was almost cliff-like, with high, tree-covered edges that gave an amazing view of a sunset that dropped into the water. The road through the narrow middle was separated from a curving beach by huge boulders piled there as protection against high water in bad weather. The lighthouse at the southern tip stood on stone that had been relentlessly pounded by surf. The east side was low and followed the harbour, with beaches and tiny islands that were accessible at low tide. The beach below our place had a part-time island of rough rock covered with low brush and ringed with seaweed. Next to it were the remnants of an old boat launch, with huge timbers that were tied together about a stride apart and elevated, extending from the edge of the beach out into the water. The variety of surfaces, the peaceful, natural surroundings, and the freedom I enjoyed made this the perfect place to run. Parkour as a discipline hadn’t been invented yet, but it never occurred to me that what I was doing would even have a name. Nothing I did was YouTube-worthy, for sure, but what was important—though I didn’t know this at the time—were the principles of what I was doing. For me, it wasn’t about tricks or risk, it was a feeling I was looking for, and it was more than play. Variety and unpredictability combined with speed enhanced my focus and made it so I was completely in the moment. It was an instinctive, natural flow—like water over rock. If you watch people do things—anything—while they’re in this groove, you can see it. There’s a calm quality to their movement, even if they’re working their asses off. Those who fight it, who take in too much or question what to do next, are the ones who struggle or make mistakes. With awareness, focus, and complete trust, reactions aren’t consciously chosen as much as they are allowed to happen. Extensive analysis and emotional reactions interfere with the connection and disrupt the response. However, like with any skill, the more the method is trained, the easier it is to reproduce and the more challenging the obstacles can be. As more people get involved, and as the technical elements advance, there are more opportunities for people to support each other in doing parkour. The World Freerunning Parkour Federation has developed a coaching certification program that promotes consistency and safety, and clubs and training facilities are opening up all over. The fact that parkour has developed into something that can be learned and applied in almost any environment by people with widely different abilities is one of the things that makes it so engaging, and likely why it’s becoming so popular. There is a group in the UK called Free Your Instinct that uses parkour as a means of supporting people with mental health issues. 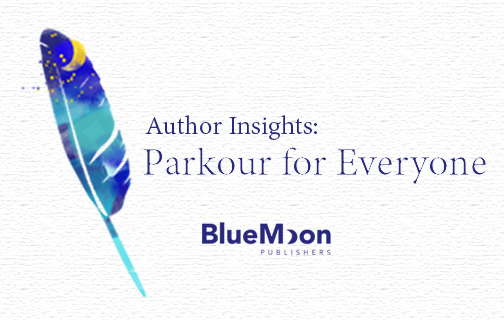 As with everyone, parkour offers a real way to connect mind, body, and environment in a special kind of experience. Maybe it’s endorphins or serotonin, or it’s a chakra thing, but it’s more about the act than the accomplishment, and those who experience it want to feel it over and over again. It’s been many years since I ran near our cottage, and I wish I’d had the resources and guidance back then to do it in a more defined and in-depth way. For me, the concept carried forward mostly in sport, and in looking back, I can see the principles coming out in other ways. Learning about David Belle and the work he and others have done to develop and advance parkour as a discipline—hearing it defined and seeing what they’ve done—has helped me to understand my own situation better and will help guide me in the future. For those who aspire to understand parkour and have it as part of their lives, the benefits to physical, mental, and emotional health are worth it. Check out Mark Burley’s latest parkour-based adventure novel, Flow Like Water, from the Hit the Ground Running trilogy. What sports had the biggest impact on you as a kid?